Today was Day #3 of Chocolate and Hawaii Theme Week. 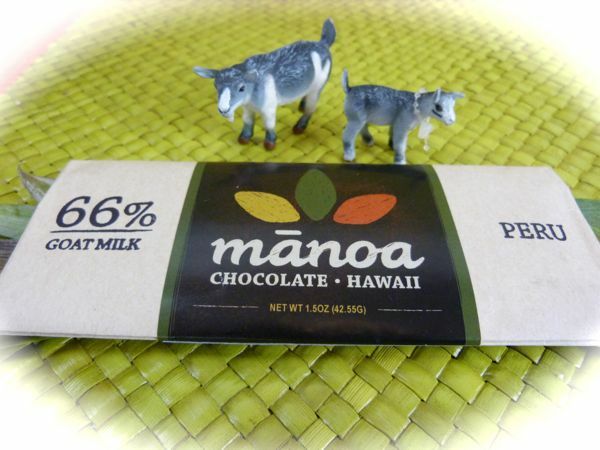 This Manoa Chocolate (Oahu, Hawaii) 66% Goat Milk bar was made in Hawaii, with cacao from Peru. 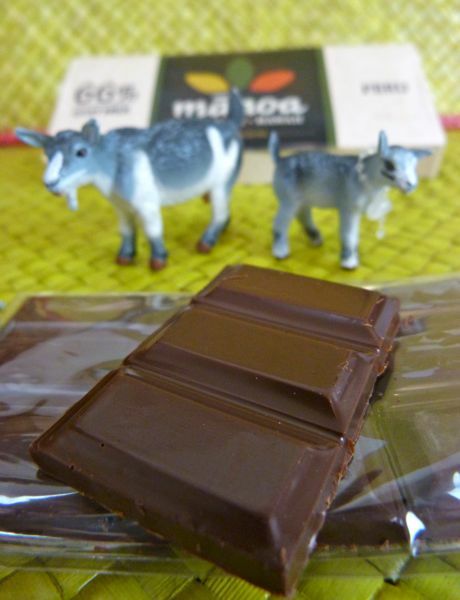 While the maker's tasting notes described a creamy goat cheese flavor, I probably would not have detected any goat flavor if I'd tasted this chocolate blindfolded. My own tasting notes read as follows: rich and smooth, with no strong flavor spikes; very, very slight bitter or sour aftertaste without being acidic, and very faint floral and earth notes. Notes: Bars were enveloped in compostable wrapping. The 2 goats (shown) were not included.